With the smart home beginner in mind, we've put together an up-to-date guide to some of our favorite connected devices. 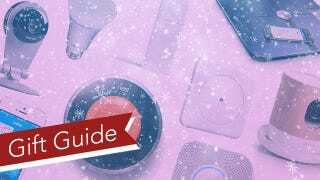 Smart home gadgets can get as complex as a water heater and as simple as a sensor, so this guide focuses on what's most useful and most impressive. We've also done our best to find items that don't require a hub to work well, though a true smart home needs to be filled with devices that can talk to each other. So without further ado, here are nine gifts that can turn any dumb old house into a futuristic smart home.